Copenhagen Trekroner: Copenhagen Water Festival party, 28th & 29th August 1993. Tokyo: Club Yellow, 2nd July 1993. Glastonbury Festival: NME stage, 26th June 1993. 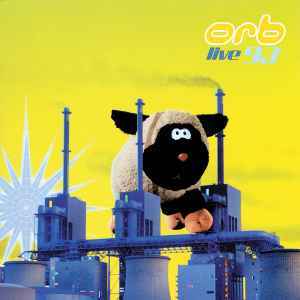 Live Orbient: mixed at Bunk, Junk and Genius Recording, London 3rd & 6th September 1993. ISLAND RED LABEL™ an Island Records, Inc. company [Island logo].